Learn how to photograph Christmas lights like the beautiful LED lights outlining this house – and its Megatree made of lights and garland! The season of extraordinary outdoor Christmas lighting displays is upon us! What better way is there to share your joy of the beautiful lights than photograph Christmas lights and share with friends and family? However, there’s that one lingering problem sitting in the back of your mind.. you just can’t quite seem to translate the beautiful lights from your own eyes to the camera. It gets frustrating trying to figure out what settings to use to make the picture less dark and blurry. Let’s look at some photography tips on what can be done to turn those dreary, dark or way-too-bright photos into magical winter wonderland photos! Blurry, obstructed picture VS. a crisp, clear picture! When you’re photographing Christmas lights, there are two situations you might find yourself in. You either planned ahead, or you may have just happened upon an amazing display that you have to stop and photograph then and there. If you planned it, you probably thought ahead and brought along a tripod to use… but if you just happen upon the lights, then you might be resorting to hand-holding your camera. Let’s talk about the latter first. So you’ve stumbled upon an extraordinary Christmas light display at night, with only a camera in tow. You don’t have a tripod and there is not a great surface available for you to rest the camera on (like a car roof, mailbox, what have you.. if you find one of these, you can skip to the tripod section). You are going to have to resort to hand-holding the camera. What now? You could set your camera to auto so that it determines things for you, but if you want to get the best shot possible, you are going to need to manually adjust three things in the camera yourself – the ISO, the aperture, and the shutter speed. Use the proper shutter speed to capture the details in custom homemade light arches transform this driveway into a winter wonderland! First, you’ll need to set the shutter speed to somewhere in the one-hundredths of a second – between 1/100s and 1/160s. This will ensure that your photograph comes out sharp – the faster the shutter speed, the less of a chance that the camera will register any shakiness from being handheld. Here is an extra tip – nowadays many people are changing their Christmas lighting to LED lights because they are brighter, have more vivid colors, and are energy-efficient. I would not recommend setting the shutter faster than 1/160s if there are LED lights in the setting because, at that point, the shutter is closing faster than the diode’s refresh rate, and the lights may end up looking like they are off. I typically go with 1/160s for shutter speed. Second, you will have to determine the aperture – also known as the depth of field. The wider the aperture (the lowest numbers possible), the more light you let into the camera at once, which is great for hand-holding the camera. I have found that I often keep the aperture below f/5.6. If I am focusing on a certain object in particular and am looking to create a softer look in the background, I will set the aperture to the lowest setting, which is f/2.8 for me. Play around to find which you like best. Lastly, we come to dealing with the ISO. This refers to the light sensitivity of your camera’s sensor and is important in pulling everything together. The higher the ISO number, the more sensitive it is to light, which means that less light is needed to make the picture. It’s dark out and we don’t have a tripod, so a higher ISO will enable us to snap a picture quickly. The downside to raising the ISO is that the picture quality will start to deteriorate and will begin to appear grainier. Your ISO will need to be higher than 800 – play around with taking pictures of the same scene at ISO 800 all the way to the highest available ISO. It will most likely be 6400, which will show the most amount of grain. Find the ISO setting that best suits your needs. I find that I am usually able to shoot up to ISO 3200 without worrying about quality. It is a happy medium between having a brightly lit scene without serious amounts of graininess. With the right combination of these three things, a steady hand, and properly holding the camera (left hand supporting the camera under the base/lens, right hand comfortably resting on top next to the shutter – check out this neat infographic for more information), you should be able to freely walk around without lugging a tripod, snapping pictures of Christmas lights however you please. Using a tripod, or a suitable surface (like the roof of your car, a mailbox, or a fence post – anything could work!) that will serve the purpose for a steady, solid support gives you more options when it comes to photographing lights at night! Since the camera will be staying still, you can set your ISO to a lower number. When photographing without a tripod, we have to shoot with a higher ISO because we need higher sensitivity to light to create a quicker exposure. However, because the camera will be staying still and we will not have to worry about any blurriness affecting the picture, we can lower the ISO so that it is less sensitive to light. You will find that you can use a lower ISO in more brightly lit settings, whereas you will need a higher ISO with homes that have less lights. For great quality and less grain, you will want to set it anywhere around ISO 100 – 400. Let’s talk about the aperture next. If you are looking to keep the exposure short, you can keep the aperture around f/5.6 - f/8 to allow more light into the lens. If you are interested in creating a sharper image with a starburst effect on the lights, you’ll want the aperture to be smaller, around f/11-f/22. This will require a longer shutter speed because there is less light being allowed in. The higher the aperture number, the less light is coming into the lens at once, which means that because the shutter will need to be open longer, the greater the starburst effect will be. For your shutter speed, you can adjust this last using your camera’s light meter as a base for where to start. I will usually set mine a little longer than the recommended setting so that I can get a little bit of the starburst effect. If you make your shutter speed faster, the image will be slightly darker, which can work well if there are tons of Christmas lights in the picture. 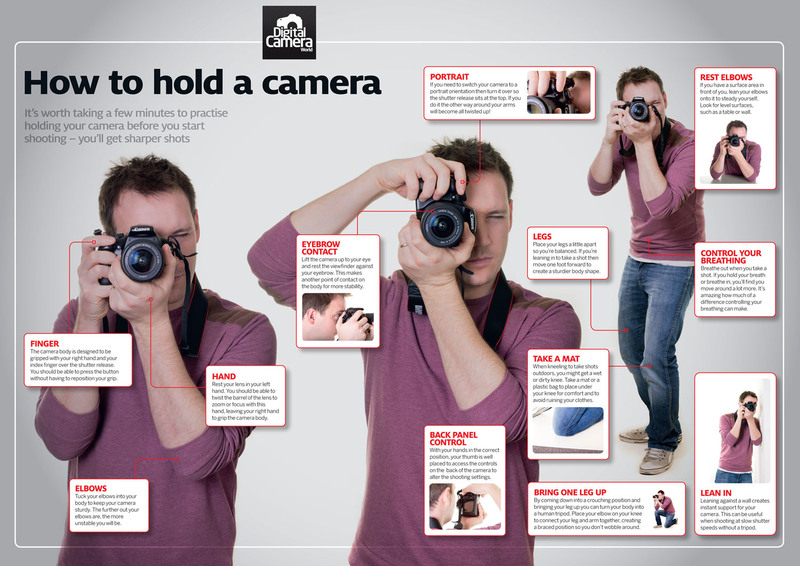 Also, here is an extra photography tip. To reduce the chance of the camera shake affecting your picture even further, set your camera to a two-second timer. That way, when you click to take the picture, you will not have to worry about any blurriness. Once you have played around and figured out what settings you like, you can start photographing; you now know how to photograph Christmas lights! Move around the setting to find various angles to photograph. There is no magical setting on the camera to photograph Christmas lights because every space will need something different. If they have many lights, you’ll need a shorter exposure. If it’s not brightly lit, you’ll need a longer exposure. This is a learning process, so do not get frustrated when the first test shot is not completely perfect! Get creative and have fun! I could spend hours at just one home photographing lights from numerous angles. If you are interested in trying out a new camera trick to throw into the mix, why not check out our Bokeh Photography blog post? Using a homemade lens cover, you can create little shapes out of the Christmas lights – which produces some magical results! Grab a family member or friend and head out to try your hand at photographing Christmas lights! If it’s your own home you are photographing, move the cars out of the driveway and the trash cans into the garage. You do not want anything to detract from the stunning lighting! Especially if you’re sending in these photos to compete in our annual Photo Contest… : ) Check out the photos below that were already submitted for some inspiration. Beautiful contest entry with great lighting, placements, and color. Tacky Christmas Lights Tour Submission – with over 170,00 lights shining brightly! A truly magic winter wonderland – complete with Santa and his reindeer on the roof! Gorgeous lights outlining the home and palm trees in Florida.